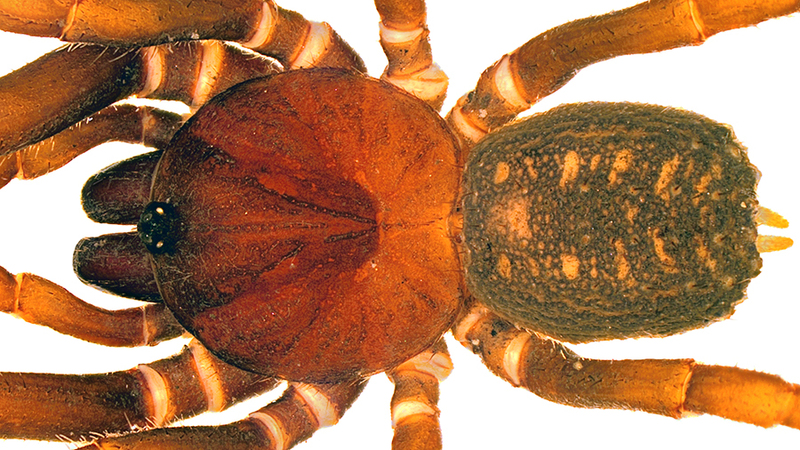 One of the newly described bald-legged spider species Stormtropis muisca. It is also the highest altitudinal record for the family. Image by Carlos Perafan. A bald-legged spider of the genus Paratropis in its natural habitat. Image by Carlos Perafan. “We wanted to make a play on words with the name of the known genus, Paratropis, and of course, we also wanted to pay tribute to one of the greatest sagas of all time”, they add. In the course of their fieldwork, the researchers also confirmed previous assumptions that the bald-legged spiders are well adapted to running across the ground’s surface. The spiders were seen to stick soil particles to their scaly backs as a means of camouflage against predators. More interestingly, however, the team records several cases of various bald-legged species burrowing into ravine walls or soil – a type of behaviour that had not been reported until then. Their suggestion is that it might be a secondary adaptation, so that the spiders could exploit additional habitats. A bald-legged spider (Paratropis elicioi) in its natural habitat. Image by Carlos Perafan.